It is so difficult to answer accurately. Do you mean what fictional novel am I reading for pure pleasure at the moment? 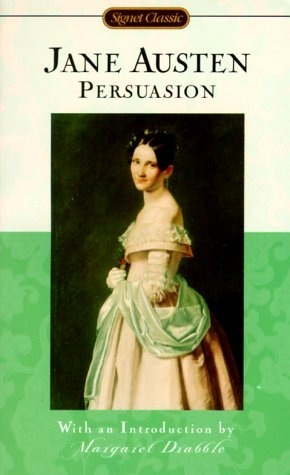 Then I guess the answer is Persuasion, by Jane Austen. I am slowly working my way through the beautiful period prose, and being transported to another world. The last Jane Austen novel I have never read, I hope to finish it in a week or so. 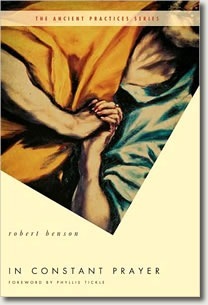 Except that at the same time, I am also reading some non-fiction in the form of In Constant Prayer, by Robert Benson. A book out of the Ancient Practices series, it is a study of worship and prayer, and how they are utilised by Christians, particularly in the Daily Offices. But sometimes when I sit down, I want something a little lighter, or something I can walk away from quickly without needing to absorb too much new information. So laying next to my bed are two other books I am dipping into at the moment for short sections. 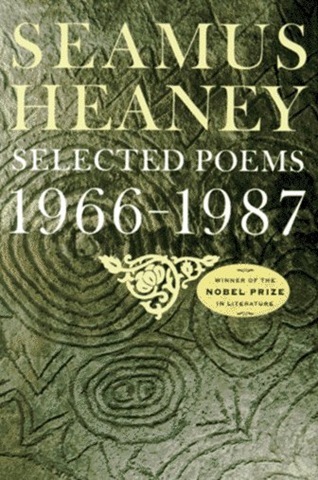 I am re-reading selected poems from Seamus Heaney, as well as selected essays by Kathleen Norris from The Cloister Walk. Both I have read before, but sometimes you just want a quick bite. Plus, I suppose I am technically reading the Bible at the moment, as I am everyday. And I still haven’t stopped reading War and Peace, it has just been a leetle while since I picked it up off the floor next to my bed. So what about you? What are you reading? What’s the longest you ever invested in a book? Were you enjoying it, or just reading to get it over with? I just finished reading this book today; one more to cross off my list of 1001. Getting there slowly. 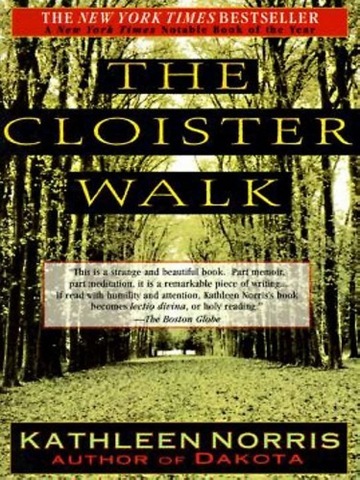 The book tells the story of the March family, more particularly the four sisters living with their mother while their father is off in the US Civil War. It took me a while to get into it, even though I enjoyed it right from the start. It is a wonderfully told story in which you see the four young girls grow, and overcome their childish attitudes, so become little women. The character development is superb, especially with the “main” character, Jo. It is quite obvious, even without any knowledge of the background, that the author is trying to tell her own story through Jo, the struggling writer. Not everyone’s cup of tea I know, but worth the read if you enjoy that sort of thing. I’ll try to find a book with more death and destruction for next time. How about War and Peace? Not my list you understand, but rather based on a book by Peter Boxall with the title 1001 Books you must read before you die. I read through the list, and downloaded an Excel Spreadsheet to help me track how many of them I have read. Turns out I’m falling badly behind. The premise of the book is that these 1001 writings trace the development of the Novel from its earliest form to the modern novel. I don’t know if that’s true, since I’ve only read like 75 of the 1001 novels I need to read. However, I decided it might be a good learning experience to try and work my way through the list and see what I discover. I think a little “research” might be in order. So here’s how it’s going to go down y’all. Then after I read each book, I’ll post a review here. As well as reviews of some of the other books I read. Time to start talking about what I read as well as what I write. So stay tuned for a review of my current novel, Little Women. In addition to being a writer, and a blogger, I am also an avid reader. I read A LOT. Unfortunately I am also a book collecter. Not rare or valuable books you understand, I just don’t like getting rid of a book. Ever. So I was a little sceptical when I first heard about bookcrossing. For those of you who have never heard of it, bookcrossing is an endeavour to turn the world into one huge lending library. The principle is that you register a book at the website, post your comments about it, and then release it in the wild. That’s right. You leave it out for someone else to find. It’s called read and release. Then the person who finds it goes onto the internet, and enters the registration number that they find in the front cover, and they can see what you wrote, and add their comments. Then ideally they release it as well. For an example of some of the books I have caught and/or released, visit my bookcrossing page. It is actually quite awesome. Admittedly many of the books don’t get logged, and you never hear from them again. However I can guarantee that many of them are found and read. When I leave one in a public place, it is usually gone within a few minutes. And the excitement when someone does find your book… you have to experience it. It’s like being part of the world’s largest book club. On a side note, one of the bloggers I follow had a similar idea, check it out here. His plan is to share books among bloggers, and write notes in the margins, then pass them on. I think that that is also a cool idea. Unfortunately he is in the States, so I can’t take part in that one, but I might investigate something similar here. Check out both sites, and let me know what you think.